Making distinctions can be vexing in creative nonfiction. In theory I love the personal essay that focuses more on the Bigger Topic—as in The New Yorker’s essayistic reportage or in Leslie Jamison’s hot new collection The Empathy Exams. But in practice, when I buy books I favor memoirs or memoiristic essay collections. Editors of literary journals say they want more personal essays, but like everyone else they end up wanting also to know more about the writer. Maybe partly because I was an “objective” journalist for so long, and felt my writerly hands were tied, I am drawn to memoir as a reader and writer. And also because I spent seven years writing a memoir and spinning off from it, as adaptations or outtakes, mostly memoiristic essays. 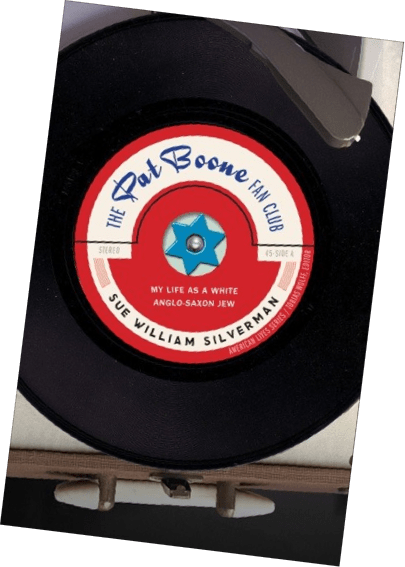 Recently I enjoyed Sue Silverman’s stealth memoir, The Pat Boone Fan Club: My Life as a White Anglo-Saxon Jew, about her lifelong obsession with Pat Boone. I find thrilling the way her life is refracted through the odd prism of Mr. Boone. Grace Paley’s “Mother” feels perfect as a flash essay of only 420 words—a memoir flash essay. Though like Amy Hempel’s “In the Cemetery Where Al Jolson is Buried,” it was published it as a short story, in The Collected Stories, it is sometimes taught as nonfiction because it feels so autobiographical and hews to her known biography. Of course, if it were dragged out we’d want to know more about the writer—in that family crucible and “now, as she makes sense and reflects—but its perfection is that it isn’t dragged out. What a beautiful little story/essay. As Dylan sang, “Behind everything beautiful there’s been some kind of pain.” But an artist who can use her pain, as Paley seems to have done here, has made something more of it: art. Its echo of “Then she died” is heartbreaking and also a precise instrument of revelation: the perfect, stunned, everlasting reality of grief. Her mother is gone forever except in the writer’s endless loop of guilt and memory. Maybe all the writer can do is accept her loss, whether she can or not. But that mystery underscores how much she’s doing by implication—Verlyn Klinkenborg makes a key point in A Few Short Sentences About Writing (reviewed) about how powerful implication is. But it’s also a little essay that moves readers all around in time, and plays with time, as it also shifts persona from then to now. 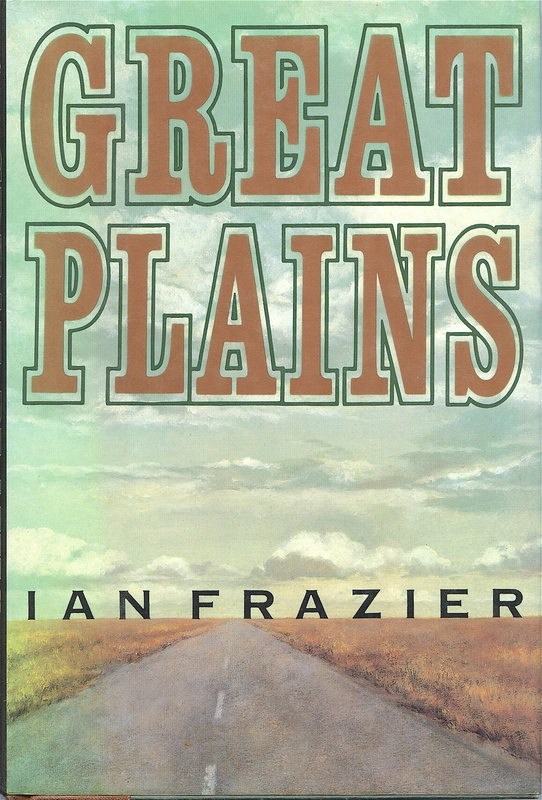 I share my admiration for “Mother” with another concise gem, Ian Frazer’s flash essay “Crazy Horse”—361 words spun-off from Great Plains into a personal essay. I have heard great things about that book and now want to read it just to see how or if he develops his persona. Who is this amusing guy, so passionate about a Native American tragic hero? “Crazy Horse” is stamped with something that seems to typify more the personal essay than the memoir: it is told very much from the writer’s “now”; we don’t see him as a little boy, at least here, with prints of plains Indians pinned to his bedroom wall. Or whatever. An essay collection on the memoiristic end of the scale that I love and have taught several times is Such a Life, by Lee Martin (reviewed). He writes about himself as a kid, as a troubled teen, and as an adult. He grew up on a poor southern Illinois farm, in a suburb of Chicago, and then back in farm country but living in a hick town—with a father maimed and rageful from a farming accident. Lee got—and often provoked—the brunt of his wrath. As a novelist, he is a master at writing in scenes, but in their midst he’ll step in from the present to reflect, giving his essay two voices, experiences, and perspectives. It’s richly layered. Recently I binged on a favorite personal essayist, David Sedaris, reading two of his collections after listening on CD to him read one of them. He is so funny and strikes such a great balance between self and topic. Some of his essays are very memoiristic, but many are topical—recountings of his experiences and observations—made interesting by his quirky persona and hilarious responses and odd behavior. I would love to emulate the way he uses his sensibility, much in the way poets do, to write his way through life. Everything is material. The past and the present are interwoven. Like Frazier’s essay, his main stance is in the writer’s now, regaling us. He asks for our laughter at his past self, not pity, and his own eyes are amused unto mocking. 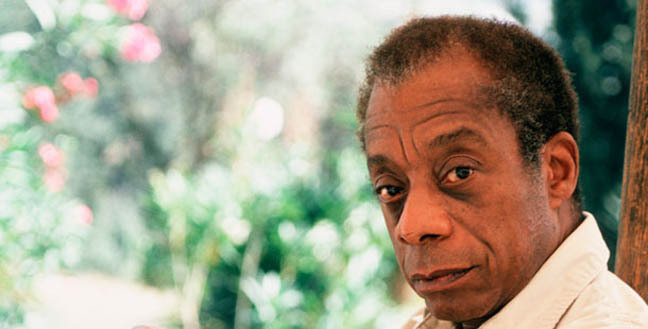 For my money—and back to the classification dilemma—the greatest American essay is “Notes of a Native Son,” by James Baldwin (discussed on this blog before), title essay of his book by that name. For one thing, it deals with American’s greatest topic, race. And it portrays race and, more to the point, racism, vividly in Baldwin’s lived experience. It’s also a mesmerizing portrait of his seemingly immortal but suddenly dead father, an Old Testament prophet of a preacher warped by racism. And Baldwin now sees that the old man—“ingrown, like a toenail”—has passed his burden onto him but without a clue how to prevent his bitterness from becoming Baldwin’s. Lovely essay in its own right, Richard. You then were a classifier; you now appreciate the fuzzy borders between types instead. After you make this confession, we can understand nuances, appreciating, for example the role of social context, but we can also see the way all stories are both personal and universal when told well. And we don’t care about names so long as we care about an artful story with complex characters that gives us something important to ponder. I have to say it again. You are a great teacher. Loved the links to the short essays. Thank you! Thank you, Shirley. Those short essays are fine! Dear Richard, Being as you are the expert in this field and I am the audience, I have to say I find the points of confusion a little more “there” than the clarifications. It would be wonderful to sit in on your class and hear what you have to say about the differences between personal essay and memoir essay–I think an extended exposure to the categorizing might help me. Anyway, thanks for your time put into this topic–it’s very tricky-sounding. 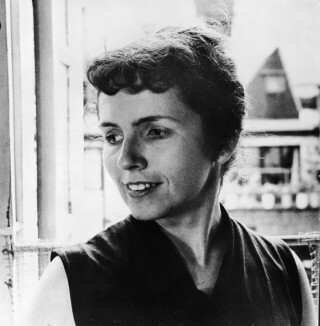 I have listened, for example, to Grace Paley’s “The Little Disturbances of Man” and her “Enormous Changes at the Last Minute” on an old cassette I have, and I have to say that even when she writes personal essays or memoirs she fictionalizes, and even when she fictionalizes, she writes personal material. I would like to see what more you have to say about her: come to think of it, it’s time to drag those works out and listen to them again! Excellent article, Richard. I’m in the beginning stages of organizing an anthology and some of your definitions are helpful as I draft my call for manuscripts (to specific authors, not a public invitation). In letting them know what I hope to receive for the collection, I may end up quoting Sue Silverman: “Instead of the memoirist’s thorough examination of self, soul, or psyche, the personal essayist usually explores one facet of the self within a larger social context.” And also Rachel Howard: “We will define the personal essay broadly, as any shorter piece of nonfiction writing that investigates personal experience in order to arrive at new insight.” And of course, Richard Gilbert: “…the personal essayist does employ a persona—and who is telling the story and why is important—but she or he isn’t the main point. Whereas in memoir, s/he is.” I’m not sure how these definitions might shape or guide my authors (or my organization of the anthology) but they are definitely worth pondering. Thanks so much. I’m so glad this post dovetailed with and was helpful in your project, Susan. The issues are real and important, even if they seem esoteric. Readers may react subconsciously. Any writer of nonfiction begins instantly, however, to evaluate a writer’s deployment of persona. I loved the The Empathy Exams and everything Lee Martin and Sue Silverman. And you have more in here I haven’t read yet, which is wonderful. Thank you! I’ve been away from your blog for too long Richard and fear I’m the poorer for it. This is a terrific article and clarifies a distinction I was only vaguely aware of before, i.e., between the memoir and the personal essay. You note that “teachers had better be clear about what they want.” For college freshmen — and even more so for students in remedial English — I wonder if it would be wiser to let them choose which type of creative nonfiction to write without the instructor requiring them to go in one direction or the other. As an organically taught writer (not educated in the English lit academic world of, say, an MFA creative writing program), this article helps me to understand the blending of terms. The other day I had a confusing conversation with an editor over story vs essay. I’ve been calling my short nonfiction pieces “stories,” and I call my societal commentary pieces “personal essays.” My confusion did not help our conversation. It came to a halt, much like a fender bender in the road. We got nowhere for a while. Also, because I’m going to be self-publishing and doing all my own PR, I need to know all the ways to describe my collection of story/essays for potential readers and online meta data. Anyway, I appreciate knowing there does seem to be some genre confusion, and I’m not alone in my confusion. P.S. For my own purposes I truly do consider some nonfiction pieces story: beginning, protagonist’s (my) goal, conflict trying to reach goal, resolution. While my personal essays are my social commentary, starting with a thesis, backed up by personal anecdotes. To me these seem so different. Anyway, now I know how to speak with people in the professional writing world about story vs personal essay. P.P.S Funny, I always thought of David Sedaris’s pieces, “Me Talk Pretty One Day” or “Santaland Diaries, for instance, as stories. Thanks, Michele. Nonfiction is a diverse genre with many names and approaches! Newspaper reporters informally call their pieces stories, for instance, but officially they are articles . . .